View up-to-date A-1 Operator Club nominees. View the list of A-1 Operator Club members. Show off your achievement for being among those operators that meet the highest operating standards. 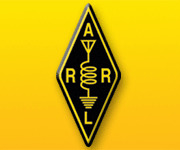 Membership is available to all currently active, licensed Amateur Radio operators. Membership comes after nomination by two club members who find the nominee qualified to be a member of this elite group. Membership in the A-1 Operator Club cannot be awarded posthumously. Note that the A-1 Ops Club membership is based upon ON-AIR operating proficiency. 1.General considerations. Transmissions are stable, well filtered, and occupying the minimum required bandwidth. On voice, clarity of speech, brevity, uses appropriate words and good grammar. On digital modes, clean tones and appropriate operating-frequency selection. On CW, proper character formation and spacing with appropriate speeds (high-speed ability is not a consideration). 2. Procedure. Always listens before transmitting. Appropriately short CQs, avoidance of unnecessary repetition, use of proper procedures and abbreviations recommended by ARRL, avoidance of common inanities in making contacts. When operating a message forwarding system, make sure that traffic is routed to its destination. 3. Judgment and courtesy. Courteous, and considerate of the other operator's point of view. Takes every opportunity to assist others, especially beginners. Patient and helpful at all times, and never knowingly operates in such a way as to lessen the pleasure of others. 4. Copying ability. This applies to all modes, for there is a knack to passing information through such difficulties as interference from other stations (QRM), atmospheric noises (QRN), fading (QSB), etc. 1) Your name and call sign. 2) The name, call sign, and mailing address of the person(s) you want to nominate. 3) Several specific comments about your nominee’s ON-AIR operating proficiency. Please be specific on HOW they operate on-air and why their on-air operation deserves to be recognized. Anything off-air such as awards, club work, being an Elmer or mentor is not considered. Names and addresses are particularly important for nominees living both inside and outside the USA. Over the years many hams change their callsign and this assures that the proper person receives this distinguished recognition. Please take a moment to check the accuracy of the information you send us. It will avoid delays in processing at HQ. Are you an A-1 Operator? Excellence in stations has often been emphasized. Yet, station performance, equipment, adjustment, etc., are but part of the story. The operation of the equipment, knowledge of procedure, and general communications technique are of very great importance in determining the results of any station. To bring attention to good operating as a paramount issue, and to give it something of the importance it deserves we are this month announcing in these columns the launching of a club for A-1 operators. By early 1934, the roster of recognized A-1 operators swelled to more than 400; by the end of 1938, to 1,000 and as of mid-2012 there are over 5,800 members of this special club! Then, as now, nominations were not made lightly. Through the years, recognition as an A-1 Operator represented an unsolicited acknowledgment of one's high standing among one's peers. Show off your achievement for being among those operators that meet the highest operating standards. Visit our store to purchase the pin today!